At Quality Appliances, we strive to keep 60+ "Ready to go out the door" appliances on the floor at all times, with others on back-up as needed. ALL OUR APPLIANCES COME WITH A 30 DAY WARRANTY AND ARE SERVICED BY US. WHILE WE DO NOT CURRENTLY DO SERVICE WORK ON ITEMS WE DIDN'T ORIGINALLY SELL, WE MAY OFFER THAT SERVICE IN THE NEAR FUTURE. WE ACCEPT VISA, MASTERCARD, DISCOVER (CREDIT OR DEBIT) AS WELL AS PERSONAL CHECKS AND CASH. TO VIEW INDIVIDUAL ITEMS CURRENTLY ON OUR FLOOR WITH PRICING AND DETAILS, PLEASE VISIT OUR "SPECIALS" PAGE FROM THE TAB ON THE LEFT. Below are just a few pics of our store and inventory. 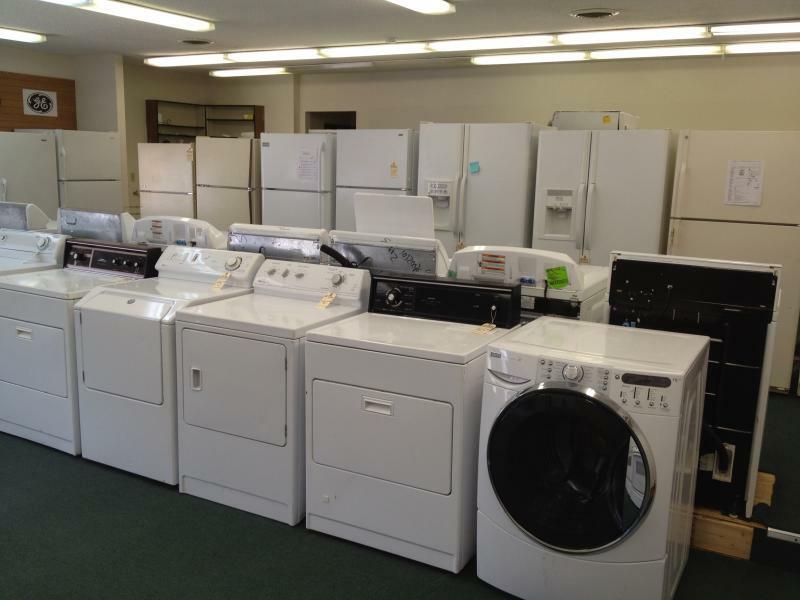 Current inventory includes numerous refrigerators, freezers, washers, dryers and ranges, although inventory changes daily. If you come in and don't find what you're looking for, please let us know and we'll try to get it for you and call you when it's in stock! We keep a modest stock of common parts on hand. If you need a part for your appliance, please bring in your Model Number or Part Number and we can order it for you if it's not in stock. The pictures on this site were taken at a specific time and as inventory moves in and out constantly, may not be representative of what you'll find in our store at any given moment. Copyright 2012 QUALITY APPLIANCES LLC. All rights reserved.